The prepaid card specialist’s 84 financial institution clients will be able to provide customers with mobile wallets based on DeviceFidelity’s Moneto platform, which uses NFC-enabled cases and microSD cards to add mobile payments capabilities to Apple iPhone and Android devices. US prepaid product specialist TransCard is to offer customised white label versions of DeviceFidelity’s Moneto payments service to its financial institution customers. The partnership paves the way for current TransCard clients to offer their own mobile wallet solutions, say the companies. The product is also suited to wireless operators looking to roll out mobile payment services to subscribers without having to develop an NFC mobile wallet from scratch, they add. The NFC mobile wallet is built around a reloadable prepaid MasterCard and provides a mobile banking app that offers real-time balances, transaction history, card-to-card transfers, cash back rewards and a PayPass merchant locator. Moneto uses DeviceFidelity’s NFC add-on phone case and microSD options to bring secure NFC payments to a range of devices including iPhone and Android smartphones. 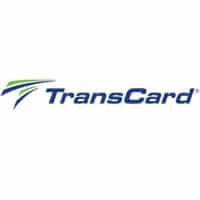 TransCard prepaid products are currently offered through 84 US banks with 4,385 branches.